confidently embrace life-long learning and as a Mercy woman, be inspired to make a difference. 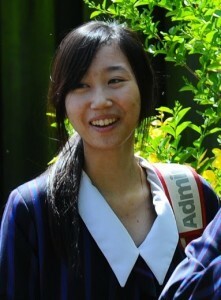 Villa Maria College is a state integrated Catholic secondary school for girls in years 7 – 13. The foundation for everything we do is our Catholic faith, which we express through our Mercy charism. 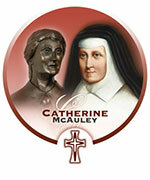 and the Sisters of Mercy who founded the College in 1918. 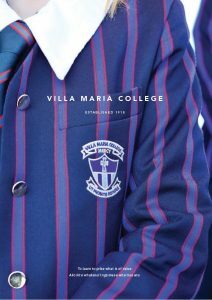 Learn more about Villa Maria College by viewing our Prospectus. 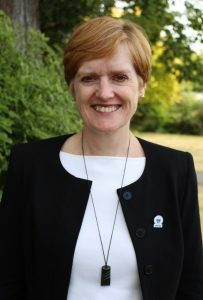 Are you a Villa Past Pupil? Keep in touch! We are a Catholic College; the foundation for everything we do is our Catholic faith, which we express through our Mercy charism. 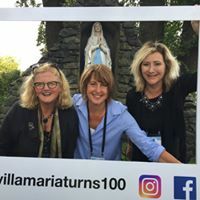 The Mercy charism is an integral part of Villa Maria College. It pervades all aspects of the life the College.